Daughter of the Italian exile Gaetano Polidori (1764-1853) and Anna Maria Pierce. She was the sister of John Polidori, Lord Byron's physician. Alltough she was strictly Anglican herself, she married the catholic Italian exile Gabriele Rossetti. Her oldest daughter Maria became an Anglican nun. 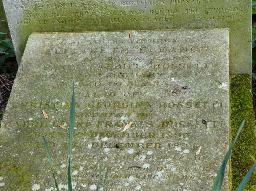 Their other children were painter Gabriel Dante Rossetti, poet Christina Rossetti and author William Michael Rossetti. After Gabriele in 1854 died she quickly burned the remaining copies of his book "Mistero dell'Amor Platonico". 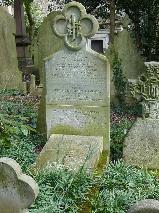 The grave of Gabriele Rossetti, Christina Rossetti, William Michael Rossetti and Lizzie Siddal at Highgate Cemetery West, London.